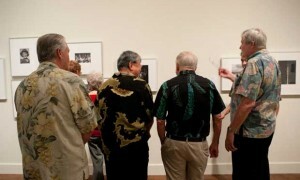 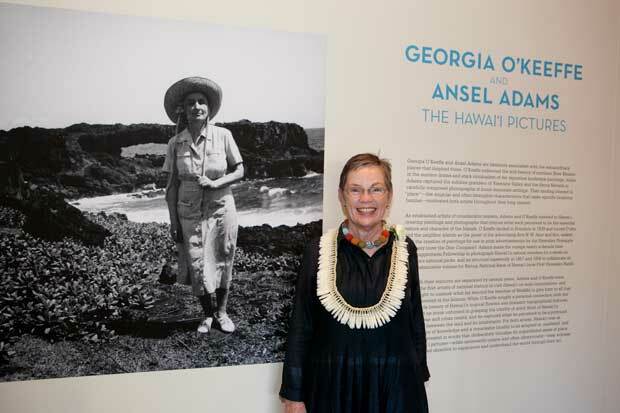 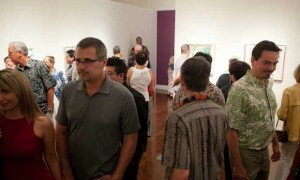 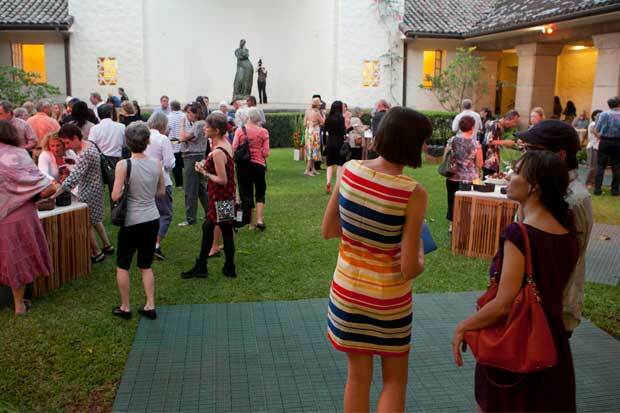 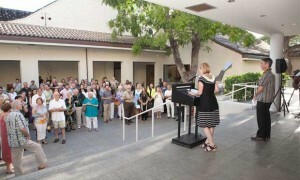 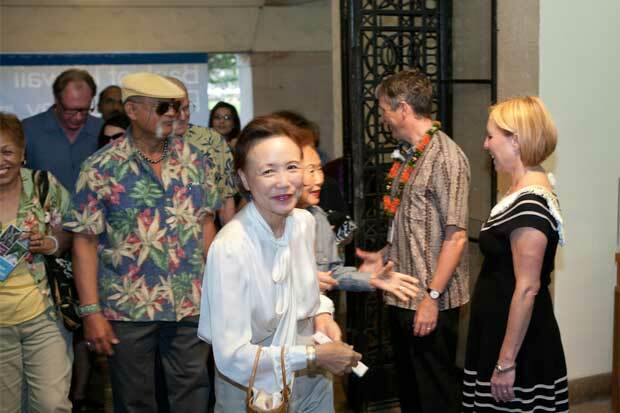 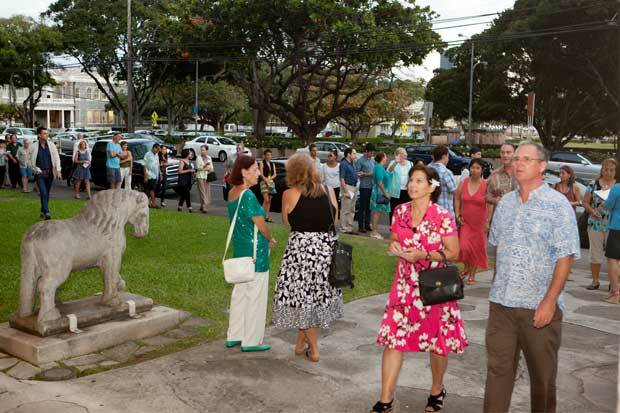 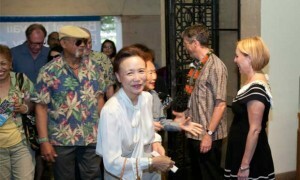 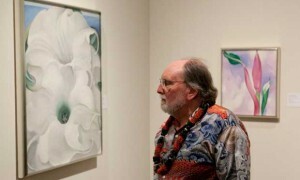 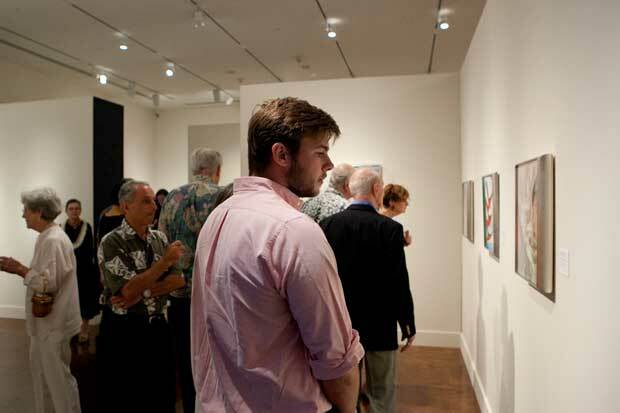 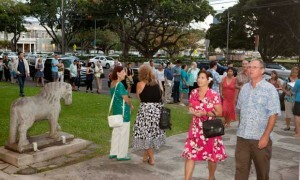 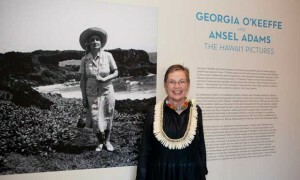 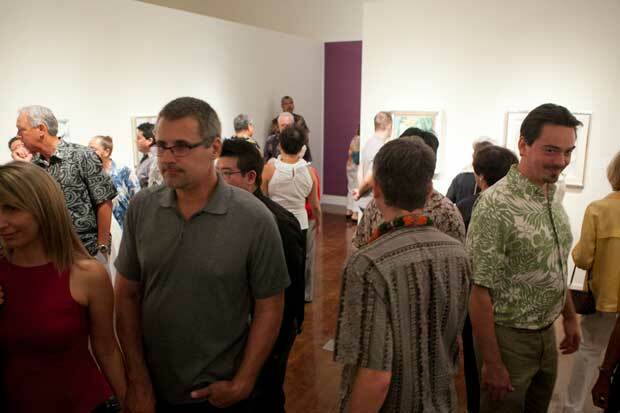 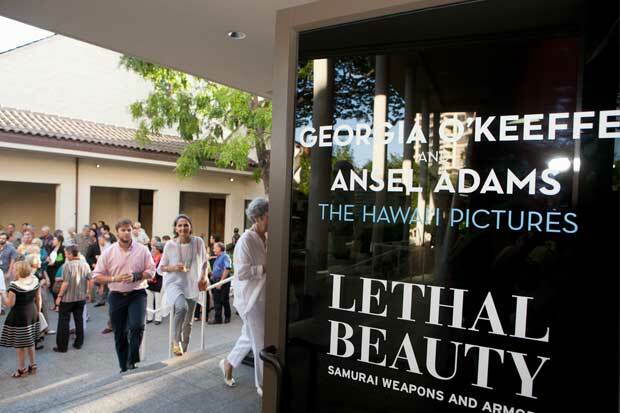 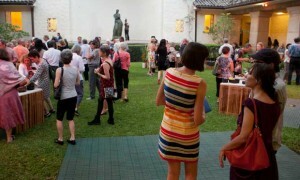 Members got a preview of Georgia O’Keeffe and Ansel Adams: The Hawai‘i Pictures at the opening reception on July 17. 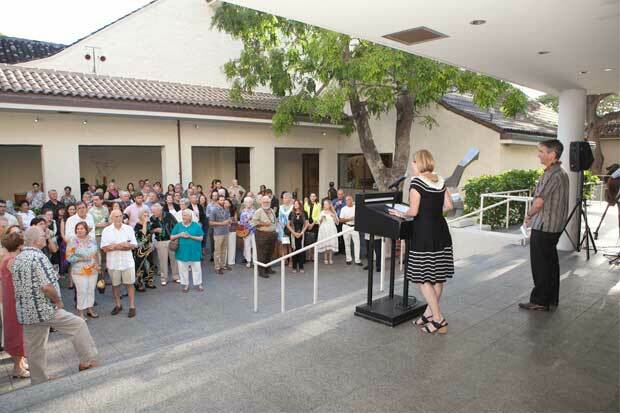 Director Stephan Jost introduced Theresa Papanikolas, the museum’s curator of European and American and curator of the exhibition, who gave opening remarks about the show she has worked on for two years. 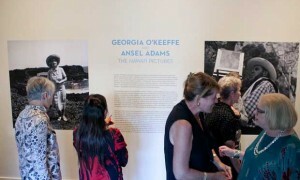 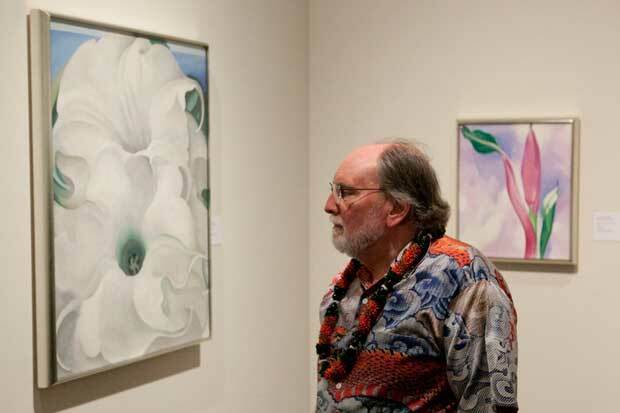 While O’Keeffe’s dramatic paintings of Hawai‘i blooms and landscapes had people exclaiming, it is the subtler Adams images of island people and places that had people lingering and discussing. People talked about the some of the people portrayed, told tales about working in the Dole cannery, and reminisced about UH lectures. 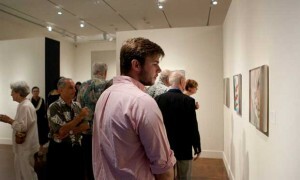 It’s a show that has people making repeat visits. 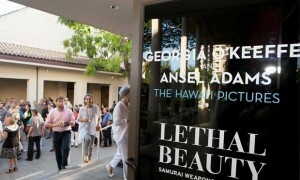 You can see the show as many times as you want for $25 by joining as a Basic Member. 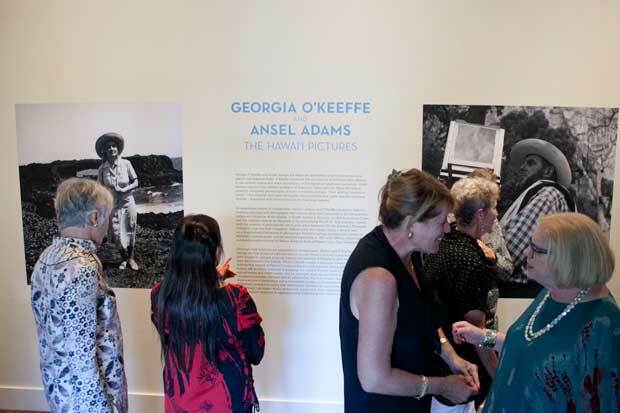 Or if you want to attend the next big members’ opening reception (the contemporary photography exhibition Perfect Moments in December), join as a Supporting Member for $100—it’s good for two people!